First up is #89, try a bottle of wine from every continent (except Antarctica of course). I’m happy to report that my world traveling taste buds have not tried wine from 3 different continents. Australia, North America and Europe. 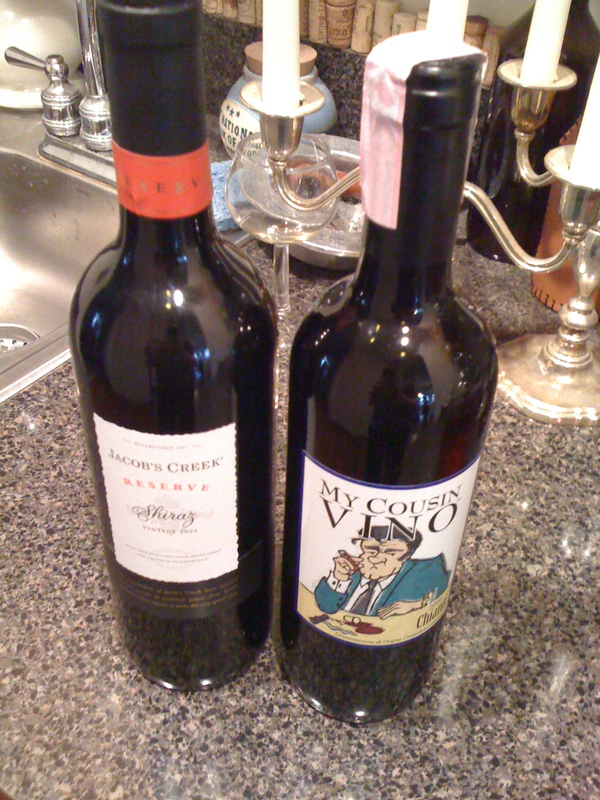 The first was a wine called My Cousin Vino from lovely Europe. Sticking with my beer explanation techniques, I’d rate this wine as a “would buy again.” It wasn’t bad, but it wasn’t outstanding either. Moving over to Australia, I tried a wine called Jacob’s Creek Reserve. IT was tasty for a Shiraz I’d say and I’d give it the same rating. Lastly, comign all the way from good ole, Utica, IL. Is a wine called Hallowine. I picked it up on a campaign trip to Starved Rock State Park a few years ago. I figured it’d be fun to have it with Thanksgiving. It was an apple wine with cinnamon and nutmeg. I’d probably rate it on the Tony scale of “Meh.” It was Ok, it wasn’t bad, but after a glass or so, I was done with it. I doubt I’d buy it again, but it was neat to try. Next up on the list is #11, give blood 2 times. 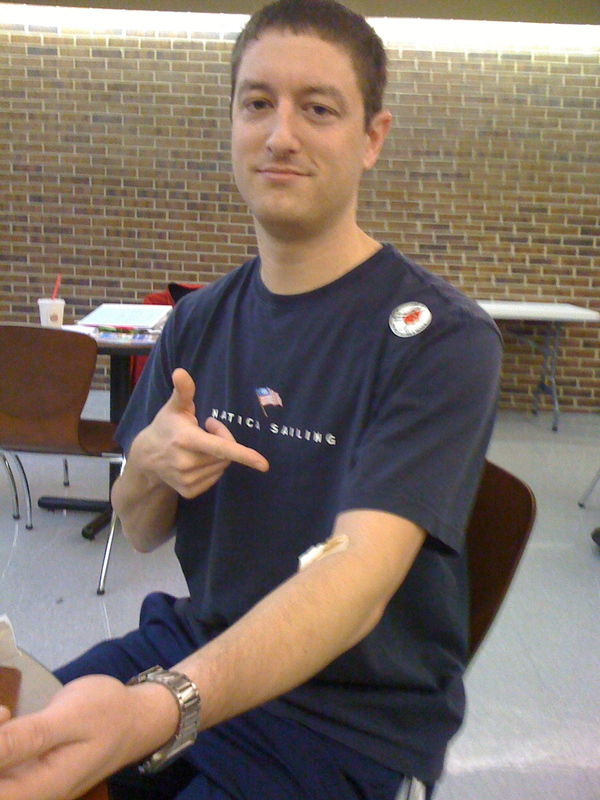 I haven’t given blood since high school, and I only did it then to get out of gym class for the day. But i know it’s a good thing to do and my A- blood type is somewhat rare (so I hear). So my and my friend Tyler made an appointment (on Halloween of all days) and went over to the blood bank. The process was pretty painless. Honestly, I think it was worse for the people working there as they had to deal with my quirky sense of humor for a couple house. Poor bastards. I tried to race Tyler to see who could fill the bag first, but we didnt get to start at the same time, he lucked out. But at the end I got cookies and juice and the warm fuzzy feeling of being able to help people. So yea me! One more to go and I can cross it off the list! Next item on the chopping block is #75, participate in an art fair at a new location. So as most of you know, I participated in a “Holiday Boutique” in early November. Without getting too much into specifics, I’ll just go on the record of saying it was a pretty big failure, short of being a total waste of time. The only thing that saved the day was I had a bunch of friends stop by to talk that I hadn’t seen in a while. Other than that, as fair’s go, it was a colossal thumbs down. Oh well, you can’t win them all. 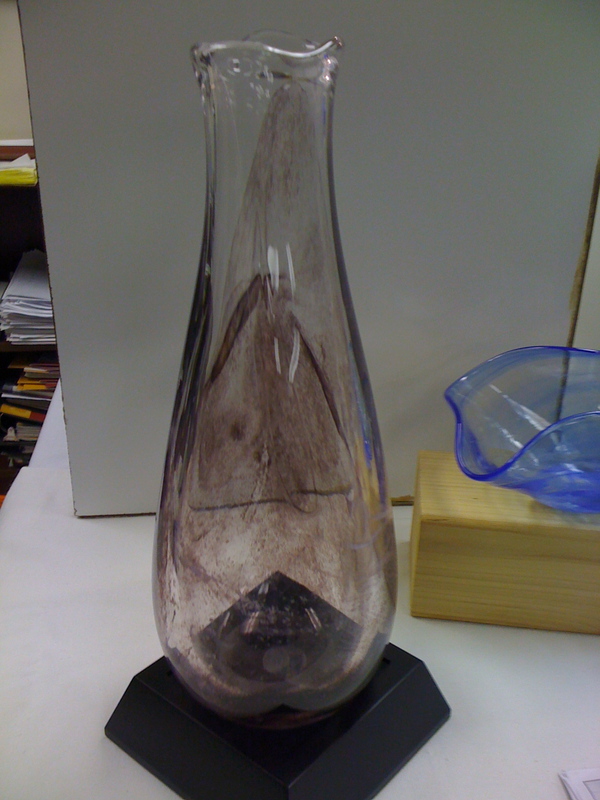 Staying on the glass theme, I did complete #65, create a glass item that takes 2 hands to hold. After a bit of glass vacation I finally got back in the hot shop and decided to go balls out. I made this rather large vase (wish I had someone there to give you a sense of scale, but it’s probably over a foot big). It was a beast to make and I was sweating and hurting doing it, but thanks to the timely help of my glass blowing superior Bob Fritz he was able to talk me through and assist me in finishing the piece off. Not the best thing i’ve ever made, but certainly the biggest! I now know the reast i don’t normally work that big. That was rough! I’ve actually made 2 units of progress on lucky #13, give heather flowers 5 times. The first was just because. I was trying home and thought of her, so I swung by the store and picked her up a dozen roses. She was quite happy! The second time was for her birthday, I was at the store getting ingredients for her lunch and I saw a mini-rose plant and I picked it up for her. Hopefully these will last longer than the cut flowers. So she can enjoy them every day! On the physical fitness front, I finished #38, do 50 pushups without stopping. In karate class we did some fitness testing and we had to do as many as we could in 1 minute. I was able to crank out 57 pushups before flopping to the ground. Unfortunately on the situp side, I only cleared 70, so I got some work to do there. But one for two isn’t bad. Last night we had some friends over, and decided to play a game. 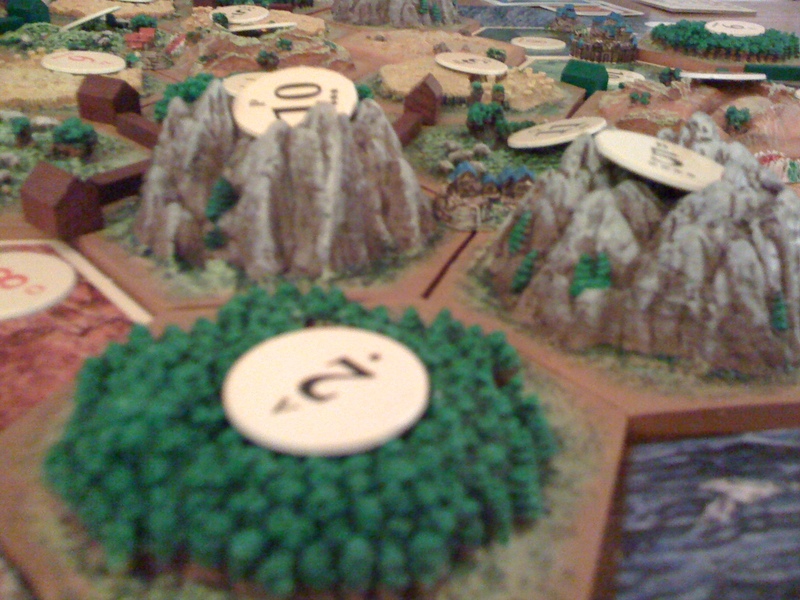 We busted out the 3d anniversary of Settlers of Catan. For those that aren’t in the know, this is a massive, hand painted version of one of my favorite games. As this was the only game on a particualr shelf, it counts for number 27, play one game from each shelf on the game library. We had a blast and I’m happy to report, yours truely, pulled out the W. I always have fun playing that game and never hesitate to break out the box version. Lastly, I’m really happy to say I finished #77, Find a new recipe that makes bacon even better. 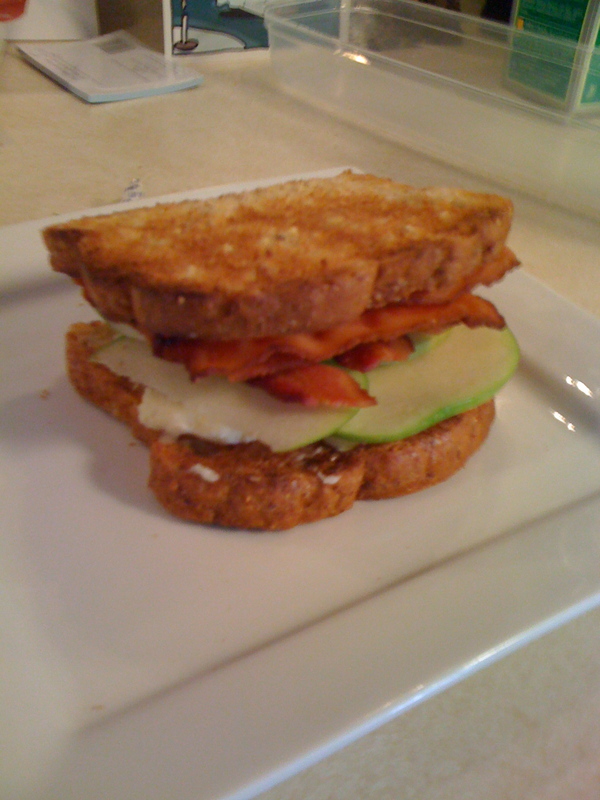 For Heather’s birthday lunch, I made her a Bacon and Brie sandwich. It was essentially a BLT on steroids. For those wondering, I took 2 slices of multi-grain bread, some applewood bacon, slices of brie, slices of granny smith apples and some dijon mustard and put it together into a taste-bud thrilling sandwich that was fricking awesome. We will totally be eating this again. Any time I can find a new way to use bacon, It makes me happy. Best Food Ever! Well that’s it for this time. I think I’ve made some good progress over the past month and see some good updates coming in the future. See you on the next update! The sandwich was amazing and the roses are still alive after a day! I’m so glad that I get to be part of your goal list!